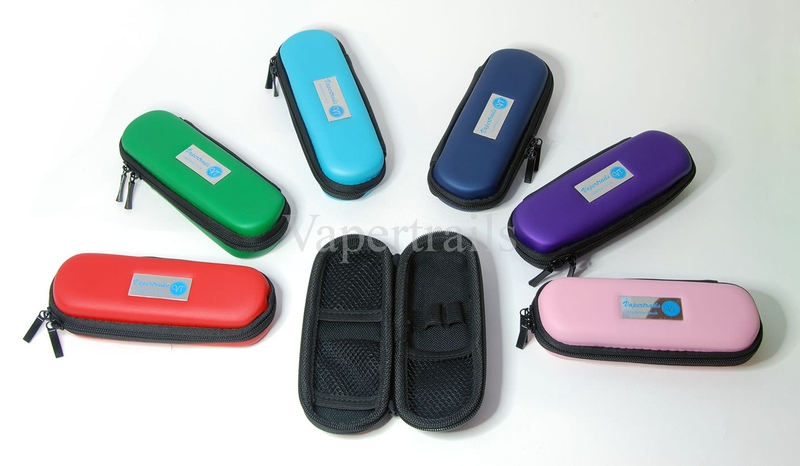 Zip-up pouch for your electronic cigarette and accessories. comes in colours: Black, Red, Purple, Green, Pink, Cyan and Navy. 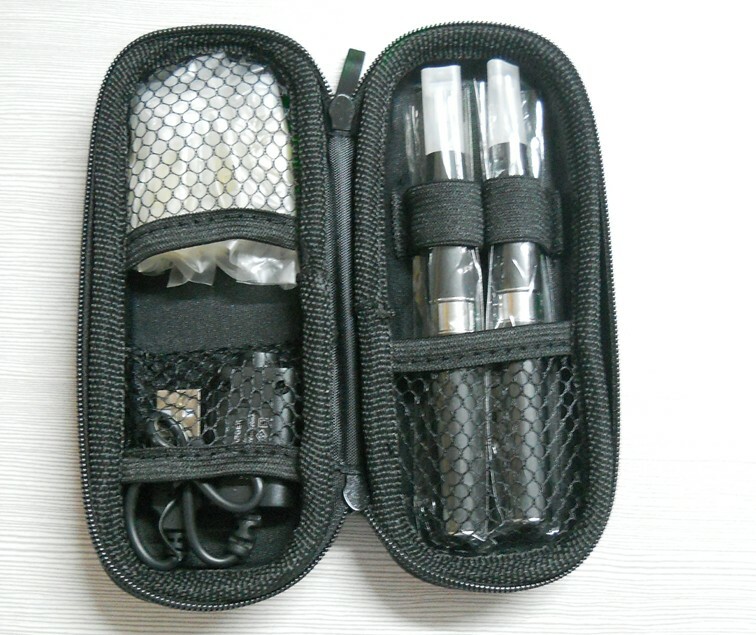 It is great for e-cigs up to 1100 Riva/Egos. really handy to keep your parts together and free of dust and grit. It measures 6 1/2 ins long (inside space) and 3ins wide.